i peeled the outer label to allow mounting on vertical surface. do I puncture the back for ants to get to bait?? The front or top of the station is where the ants enter. There are small holes or channels into which the ants crawl to access the bait. There is no need to make any more holes. Simply place the station wherever you see ants and let the ants do the work. 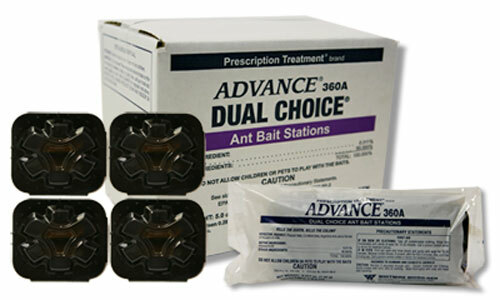 If you continue seeing ants after 3-4 weeks, inspect the station to see if there is any bait left. If no bait is there, replace the station(s). The trick to baiting is to keep using bait until the ant activity stops, but there is still bait left. If the ant population is large enough and they consume all of the bait, it may not be enough to kill the entire population. Hope this helps.